The Biodiversity Heritage Library made 2 million images free for public browsing. 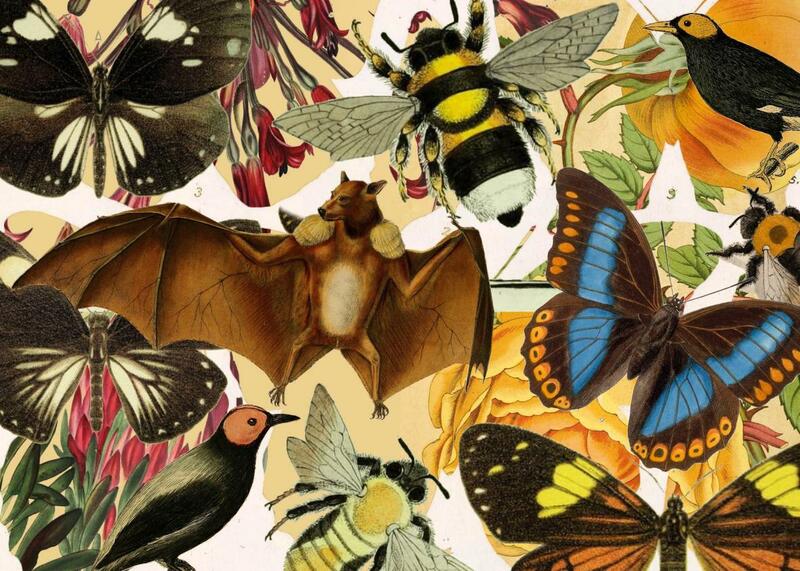 The Biodiversity Heritage Library’s open-source archive contains wonders of all kinds. Photo illustration by Lisa Larson-Walker. Illustrations via Biodiversity Heritage Library. There are thought to be about 10 million distinct species of plants and animals on Earth. That number is incomprehensibly large, not least because most species are still undiscovered. But now the Biodiversity Heritage Library, an open-access repository for some of the most stunning images collected of life on Earth, is helping to make these ecological wonders all the more real: It’s made more than 2 million images of our planet’s biodiversity available online for free. Anyone can explore the expansive collections, study the digitized materials, and even download the images for whatever scientific—or artistic—project you have in mind. Others offer a good chuckle—I mean, who hasn’t felt like this dejected stag? But still others are tinged with existential darkness, like an old black-and-white photo of the American bison, the image of a slain eagle, or renderings of other endangered species. They’re another reminder that many scientists believe we’re in the midst of a great extinction, during which huge numbers of species will die en masse, many of them before even being discovered. And unlike past extinctions, which were caused by random shifts in Earth’s atmosphere, this one’s caused by us. If we want to understand what is at stake besides our own fragile fossil-fuel based civilizations, we need to connect to life emotionally as well as intellectually. Short of globe-hopping physical immersion in the earth’s biodiversity, we could hardly do better than immersing ourselves in the tradition of naturalist writing, art, and photography that brings the world to us. The archive provides an easy way to remember that beauty. It's very easy to become distracted and pore over the treasures in our collections when they're #Unshelved. The depressing decline of biodiversity shouldn’t take away from the thrill of exploring the library’s archive. But it does lend a certain kind of morbid hum to the browsing experience. The collection is certainly chock full of things we’ve lost and things we are currently losing. The only hope is that getting lost in these Flickr files will inspire us to better mitigate the decline we’re seeing in the real world.